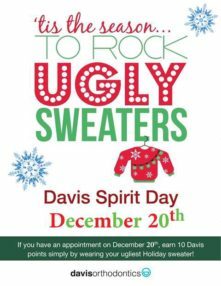 ’tis the season to Rock Your Ugly Sweaters!! If you have an appointment on December 20th simply wear your ugliest sweater to earn 10 extra Davis points! !